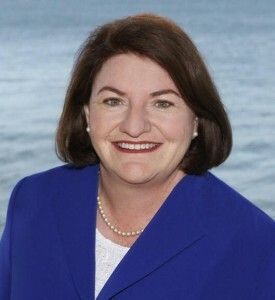 Yesterday San Diego Assemblywoman Toni Atkins was formally elected to be Speaker of the Assembly. She will assume her office later this year, succeeding current Speaker John Perez. Ideologically there is hardly a lick of difference between these two liberal Democrats, though many have shared with me privately that Atkins style of doing business may be more pleasing to those participating in the legislative process than that of Perez. Whatever. Let me add to the chorus of those wishing Speaker-Elect Atkins congratulations on her election — what a tremendous personal achievement! She and her family can be quite proud, indeed. That said, let me just express after-the-fact, as the vote was held yesterday, my disappointment that Atkins was elected to the Assembly’s top spot via a unanimous voice vote. Let’s get real. The office of Assembly Speaker is a partisan office at the top of a partisan institution. Toni Atkins may be Speaker of the entire Assembly, but she is the leader of the Democrats, chosen by them behind closed doors and put up by the Democrats as their choice for Speaker. Republicans weren’t part of that discussion. Yesterday’s vote was a formality, truly. So my ongoing question, since this unanimous, bipartisan anointing of Speakers has been taking place for a long time, is why doesn’t the Assembly Republican Leader, every time there is an election held for Speaker, place their name in nomination? (Let me give a shout out to retired State Senator Sam Blakeslee who, when he was Assembly Republican Leader, stood for election as Speaker, even though the results were a foregone conclusion). This should not be seen as a slight or a dig at the majority party — after all, they know the outcome and can afford to be magnanimous. But it is about the minority party being able to have some pride and dignity, and making a statement that if they had a majority in the chamber, that their pick would not be a liberal Democrat. Nothing about this process would keep Republicans, after the vote, from taking to a microphone to congratulate the newly elected Speaker. I can think of at least one instance (ask Senator Mimi Walters about it) where this unanimous voice vote for a Speaker was used in a hit piece against a Republican. And while I didn’t support the candidate who made the attack, it was to some extent a righteous hit. My Assemblymember is a Republican, and I certainly did not vote for them with the idea that they would rubber-stamp the election of a liberal Democrat Speaker. Let me close this topic by drawing attention to one obscure institution where the election of a Speaker is handled the correct way — the United States House of Representatives. In the Congress, House Republicans and House Democrats, in their own conferences, determine candidates for Speaker. On the first day of the new legislative session following the elections, each party’s candidate is placed into nomination. Then a roll call vote is taken of all 435 Members of Congress. Typically (with sometimes some occasional stray votes) the members of each conference support their own party’s candidate for Speaker. Of course the outcome is preordained. After the vote the Minority Leader introduces the new Speaker, and presents he or she with the gavel. In case you are interested in seeing it, I have included a video of it at the bottom of this column. While that video obviously shows Republican John Boehner being elected, it is identical to the process used when Nancy Pelosi was elected Speaker. There is no animosity against House Democrats for voting for their leader. Again, this is a process that is really about allowing the minority to have pride and self-respect, and an acknowledgment that the election of the leader of a partisan body is a partisan action. New state regulations require a very modest increase from government workers throughout California in their pension contributions. VERY modest. 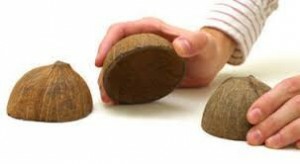 These new rules were put into place, so said Governor Brown, so that employees would be required to pay more towards their own retirement. Don’t worry, these modest increases don’t come close to actually closing the gap on statewide unfunded pension employee pension liabilities. That said, it makes me ill that I keep reading where Boards of Supervisors and City Councils all over California are giving RAISES to their employees to cover in whole or part their required increase in the employee share of their retirement benefit costs. THIS IS AN END-RUN AROUND THE ENTIRE POINT — which is that public workers in generous defined benefit plans should be increasing their payments (I should say that not all public employees are in generous plans — but most are and some are in what I would call ludicrously-generous plans). These raises are in essence causing general funds to be used to cover what are supposed to be costs coming out of paychecks of workers today to fund their retirements tomorrow — and remember even these minor increases don’t come close to having the employee put remotely what taxpayers put into their pensions. It also should be noted that these raises also actually bump up the retirement benefits for the workers — yeah, you read that correctly. The only thing that makes me angrier than the charade above, are the local politicians who think that somehow participating in this sort of shell game scheme makes them “pension reformers” — what a sad, cruel joke. At best they are pawns of the unions — at worst they are in collusion. This entry was posted on Tuesday, March 18th, 2014 at 12:08 am and is filed under Blog Posts.